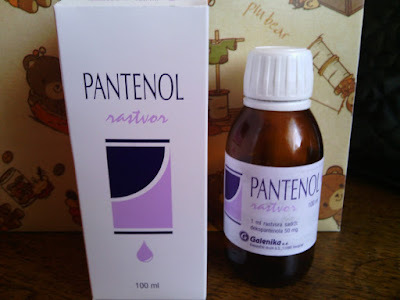 Panthenol solution for hair is a mixture that is extremely useful and widely available in all pharmacies. Not only does it take care of the scalp, but can also be used as a kind of face cream. It is full of vitamins which help the regeneration of cells and tissues. It is particularly effective when it comes to the scalp, face, forehead and the area under the eyes. Very quickly establishes pH balance in places where it is used thereby feeding them with all useful substances. In this way, the skin is protected against many infections and inflammation. They are the number one enemy and the main cause of dermatological problems. Learn why the panthenol solution for hair is so popular and effective. Why is it good for your face, as well as how it is used. The secret to beauty of the hair and the face is not in expensive products full of various chemicals, but in the proper care. This involves the use of natural remedies that will give you essential vitamins and minerals. The best way to do this is with panthenol solution for hair and face, which is very easy to obtain. It contains everything that is necessary to achieve the desired objective. The most important ingredient of this preparation is dexpanthenol, a compound that in your body is transformed and becomes pantothenic acid. Its effectiveness lies in the fact that it is deposited in tissues and becomes coenzyme A. This means that it is a component that helps the process of metabolic digestion of fats, carbohydrates and proteins. In this way it has a direct positive effect on the epidermis and hairs. Provides their regular hydration and maintains the optimum pH value. It is especially necessary to emphasize that the panthenol solution against hair loss is completely harmless and beneficial for all skin types. In addition to the already stated, the composition further contains citric acid, sodium citrate and sodium benzoate. For even better effect it is recommended to use AD drops, coconut and castor oil. If you are looking for a natural way to prevent hair loss, you're certainly in the right place. Forget the hype about the preparations that make miracles "overnight", and with it are expensive and of dubious composition. The right solution for you may be Galenika panthenol for hair. So this is a home-made product that will not let you down and you will gladly use it. Cracked ends, dry and damaged hair, decline and increased greasiness - these are all symptoms that you should not neglect! First of all, you need to find "inner" 'cause if any, and the first place to look for is the accumulated stress. After stress, the great enemy is improper and irregular nutrition, and together they badly affect your appearance. Neat and healthy lifestyle is imperative if you want to maintain beauty and vitality. Panthenol solution for hair will be one of the top aides in it. If you want to buy and try panthenol for hair, how to use it is what will certainly be of interest to you. It can be applied to the scalp, as well as on the hair or with the addition of water and other products. In the latter case, see that the ratio is 1: 1, because that is the best way to use it. This treatment is done twice a day. Apply it on your head and gently rub in a circular motion all the way to the hair roots. There are numerous ways that you can combine this vitamin mixture. It is up to you to decide whether it is only applied to the hair, or do you want to add it to other useful resources. We'll share with you a proven recipe with AD drops, nettle and panthenol. Find any of nettle shampoo in containers of 1 liter and from it pour in one bottle whole 750 ml. Then in this amount empty all the other ingredients that are listed. Mix well the preparations so they unite well. Now with this preparation wash your hair and then wash well with water. Thus prepared homemade shampoo you will use in every wash. It will help in the regeneration of the scalp and skin of the head, prevent a new decline and eliminate dandruff. What you will certainly appreciate is the fact that this vitamin preparation can be used for skin care. Effectively combats redness, acne, pimples, eczema, acne and pimples. Therefore, panthenol solution for face is considered a great solution. In addition to this, it will successfully remove burns, scars and calluses. It is useful to always keep it around somewhere in the bathroom. Panthenol solution for face cleaning is easy to use, and very quickly it will remove all the impurities contained in the pores. In this way it will eliminate the annoying pimples and acne, but also prevent their further occurrence. In an empty bottle of 2 dl capacity pour aloe vera gel and in it all the other ingredients. Finally, add 20 drops of lavender oil, which are diluted with a little alcohol. Everything mix well until the liquid is united. Thus prepared panthenol for face use by applying it to swabs and then with it clean the skin. It is important that before each use you shake the bottle. Panthenol solution mixed with St. John’s Wort oil is an excellent tool for face. This combination is sacrosanct when it comes to the fight against wrinkles. It is equally effective when it comes to those that occur around the mouth, under and around the eyes and on the forehead. The secret is just in the regenerative properties of this product, as well as in the beneficial effect of St. John's Wort oil. It should be used every night before bed, clean your face, apply panthenol solution with the help of pads. After that, rub a few drops of the said oil and leave it in order for skin to absorb it. Repeat the treatment every night and after a month you will notice its healing effects. Surely you will be satisfied with achieved results. In addition to these products that you can make yourself at home, there are those made in factories which are also effective. The most famous is certainly panthenol face cream, which is also available in most pharmacies. Its effect is even better than the popular products with similar purposes. It can be used on all skin types. Apply it two to three times a day on the areas that are problematic and gently rub it into the skin. Next to it, we also have panthenol ointment for the face that has the same purpose except that it is most commonly used to remove scars. It is necessary to be vigilant on this occasion, because this preparation should not be applied on open wounds. If you have a problem with scars elsewhere, for this purpose the best is panthenol emulsion. This agent is applied on clean, dry skin after showering. It will remove irritation that can occur due to chlorinated water. We introduced all positive effects that this vitamin preparation has on the skin and hair. Surely it will therefore be gladly used by you. However, this is not everything when it comes to panthenol aqueous solution, since it has a broader purpose. In addition it can be used to remove the above mentioned problems, its spectrum of action is much higher. In fact, it is very good in preventing accumulation of mucus in the airways e.g. stuffy nose. For this occasion the inhalation with panthenol solution is of great help and thanks to it you will quickly feel relief. If you suffer from sinusitis, or acute cough, this means it is a real salvation. It works to break mucus and accumulated secretions, soothes the mucous membranes of the nose and throat and eliminates traces of inflammation. Inhalation with panthenol is done in the following way. In the device for inhalation mix are the following ingredients: one third of gentamycin ampules and 5 drops of panthenol in 3 mL of saline solution. Of course, this can be done with the help of the container with hot water and a towel. At the same time this is the method that is most recommended for children. What is the price of panthenol solution in pharmacies? We have already mentioned that this preparation can be purchased in all pharmacies. It is advisable to take the one that originates from domestic production, because it is inexpensive and very effective. When it comes to Galenika panthenol solution price for the packaging of 100 ml costs around 3 dollars. Its shelf life is three years. In addition, you can get other products that are based on it. If your choice is for instance panthenol cream price is around 5 dollars or more. So whatever means you choose, you will not go wrong. It is particularly important to emphasize the fact that it can be used by people of all ages, and is even harmless to babies. For proper care and preservation of beauty you do not need a lot of money. Panthenol solution for face and hair will certainly be a great ally. With it, there are other preparations that will help you look fresh, younger and more beautiful. We recommend that in our next article you learn more about AD drops. They are another useful addition to a more beautiful and lush hair.